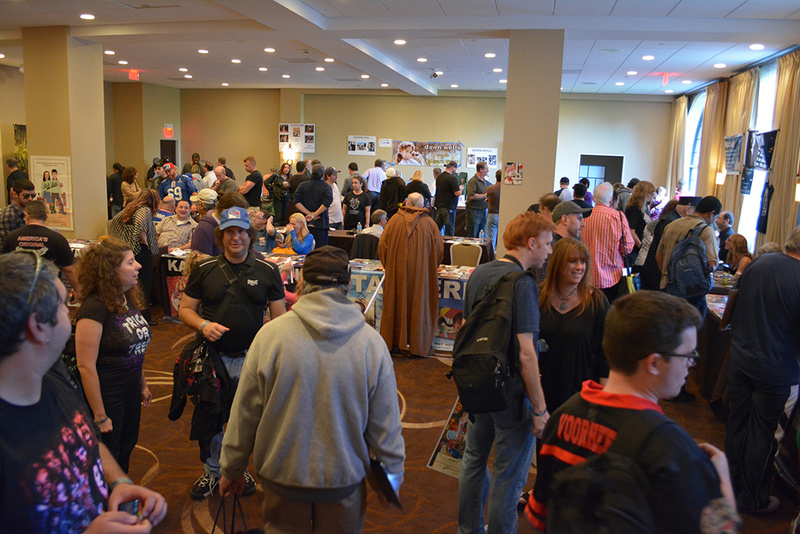 They’re everywhere and bigger and better than ever: What has made the horror cons so popular and such a booming business among genre fans? In the beginning, the horror cons existed as a way for “B” level horror stars to get out there sell some VHS movies and introduce themselves. For under 30 dollars, a fan could meet anyone in the place and get a photograph with the celebrity. It went that way for years until a little show called The Walking Dead came along. The show became so immensely popular that it created mobs of fans. The demand drove autograph prices up between $40 and $100 dollars per autograph. Photos were no longer included in the autograph price, and they would cost about the same or more than an autograph. Comic cons saw the draw to include not just former stars, but also current TV and movie stars. They began to capitalize on not only actors from popular shows and movies, but also on horror actors, wrestlers, and musicians. 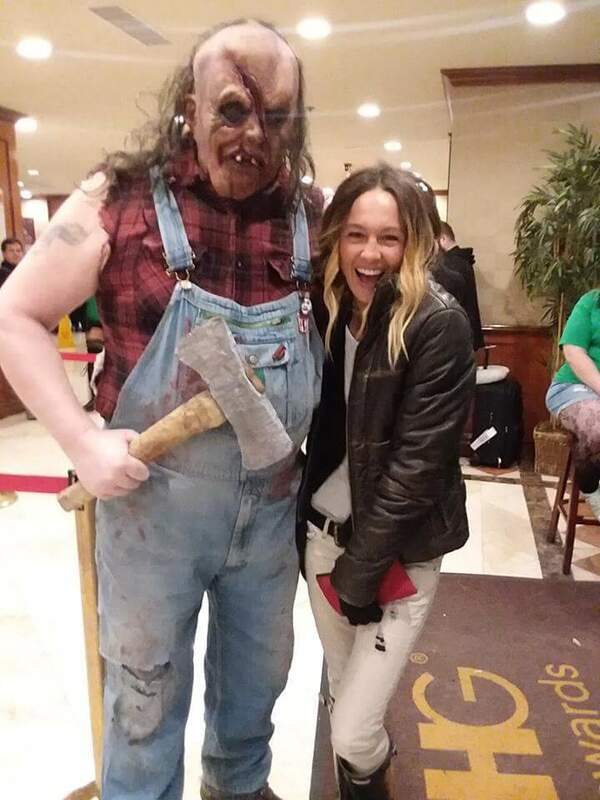 To not be left behind, horror conventions began inviting the same types of celebrities. 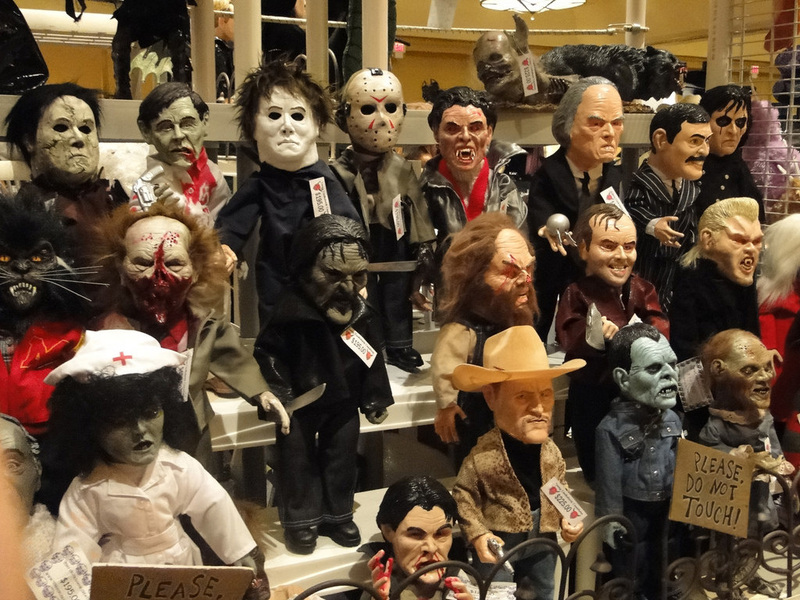 The horror conventions also began charging similar prices and found that fans would happily be willing to pay those prices to meet their favorite horror icons. Themed shows have become ultra popular. A horror con may do a theme like Halloween, Friday the 13th, A Nightmare on Elm Street, Child’s Play, and so forth. Under these themes, there are sometimes sub-themes, like having X amount of Jasons or Michael Myers. They have done themes of the final survivors or women of a certain series. They will use a grab like the one above to get you in the door, then throw in a small themed movie or random horror celebrities from misc movies. It is not hard to include main stream actors, musicians, and wrestlers on the lineup. Because, with a little digging, a horror fan can find that most of these people at one point in their career may have acted in some horror before or after their popularity boom. For example, Paul Rudd appeared in Halloween 6, Johnny Depp was in the original A Nightmare on Elm Street, Kevin Bacon was in the original Friday the 13th, Chris Hemsworth was in Cabin in the Woods, and Jennifer Aniston was in Leprechaun. In addition to big time celebrities who have appeared in horror, there are also wrestlers like Diamond Dallas Page, who appeared in The Devil’s Rejects, and Kane, who was in See No Evil. Even 80s pop icons Tiffany and Debbie Gibson appeared in the Syfy movie Megapython vs. Gatoroid. While those two may be a little off the deep end, one can easily see the depth of talent these horror cons are able to pull from. 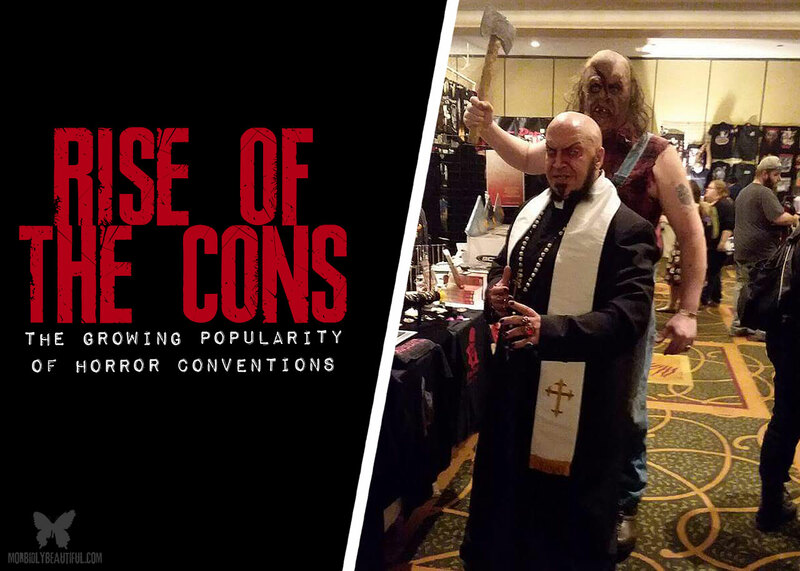 These cons have also started setting up photo ops with horror icons and allowing fans to bring props. Some of the more popular photo ops include the celebs dressing up in their most famous movie make-up and/or costume. Some events include multiple Jasons (actors who have played the iconic killer throughout the Friday the 13th franchise) in costume. Others give fans a chance to take a picture with Sid Haig dressed as Captain Spaulding or Robert Englund in full Freddy gear. Photo ops such as these have become just as popular as the chance to get a celebrity’s autograph. In addition to autograph stations and photo ops, there’s the ever popular vendor section. And the vendors no longer just sell VHS/DVDs or movie posters. There’s now a huge variety of shops large and small selling things like masks, toys, photos, comics and collectibles. In addition, there’s usually a lot of original art, and even some other handmade items like mutilated baby dolls and teddy bears. Other artists do various arts and crafts with animal bones. Artists do paintings and drawings from the movies or of killers. There are also people selling bumper stickers, license plates, and t-shirts. In addition to the huge seller’s market, fans can also mingle with independent filmmakers, make-up and special effects artists, tattoo artists, horror societies, and others involved in the industry. At some of the after parties, attendees can check out up-and-coming bands invited to perform. Most cons hold costume contests and a variety of other special events. 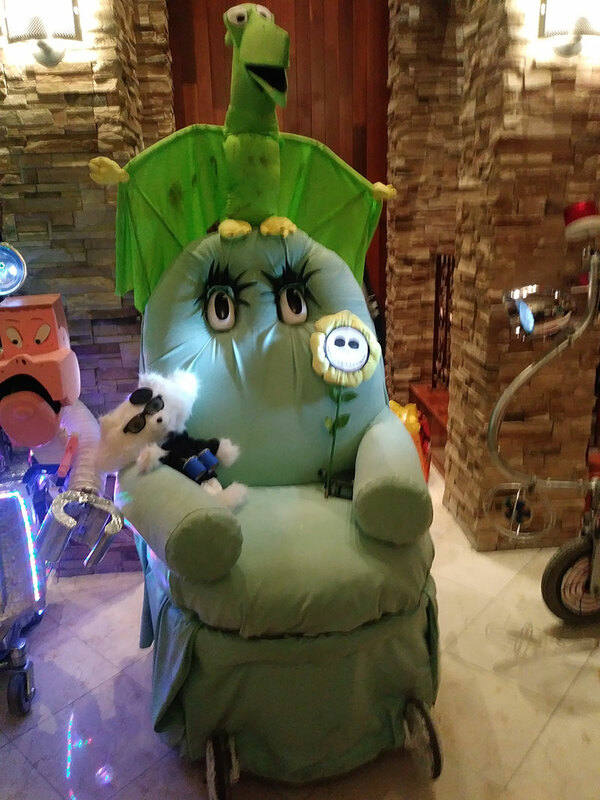 A group even exists that displays authentic movie props at many of the popular conventions. Some horror cons also boast film festivals alongside their conventions. While filmmakers typically pay a fee to submit their film to a festival, fans can often attend the festival for free if they purchase a ticket to the con. This gives horror fans a weekend jam packed full of events, making it worthwhile to travel from all over to attend. These film festivals also allow horror fans that feel they have “seen everything” the chance to check out a variety of new and unique films they might not otherwise have access to. In some cases, they even get to be the first to see the newest breakout indie film before it becomes popular. 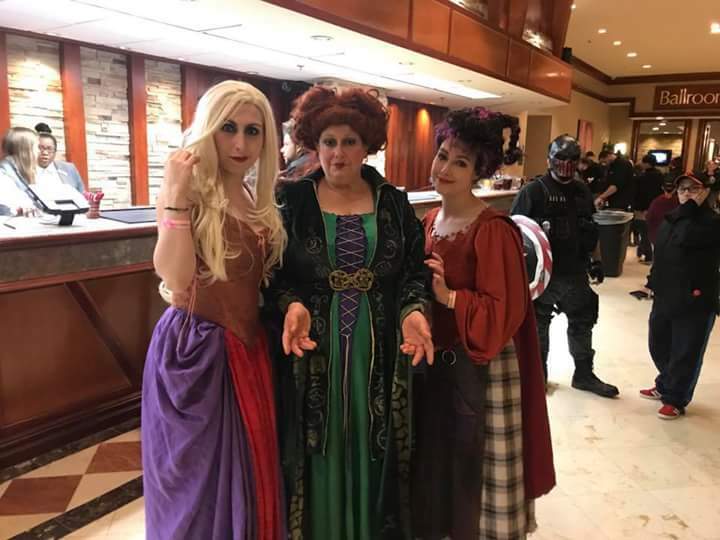 Of course, there’s plenty of food at these cons, including a food court, snack carts and hotel restaurants — with some even offering specialty menus tailored just for the event. But another huge draw is the abundance of adult beverages. 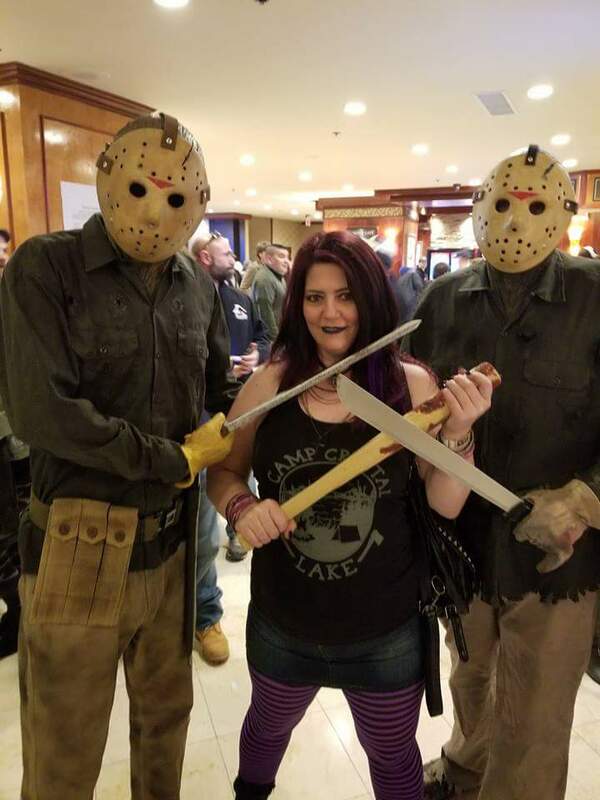 Between the drinks, the great music and parties, the costume contests and special events, the unique horror memorabilia and collectibles, and the chance to hobnob with horror icons as well as fellow horror fans, it’s easy to see how horror cons have evolved to become “must attend” events for fans around the world. The unfortunate side effect of having an awesome show is the ever increasing cost. But the opportunity to meet people and see things you would not otherwise get to see makes it well worth it for many genre fans.